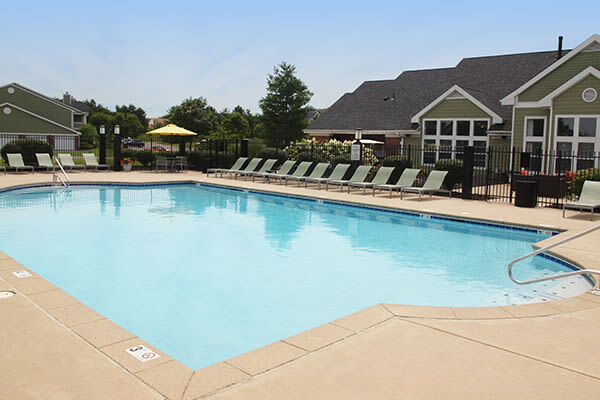 If you're looking for a great apartment to rent in Centerville, OH your location cannot get better than The Reserve at Miller Farm. We are just minutes to major employers like LexisNexis, Kettering Health Network and more. We are located right off 725, about a minute from Route 48, which means you'll experience all the shopping, dining and entertainment you could ask for within just a short drive. You can go shoe shopping at the Dayton Mall, grab a burger at Five Guys or Smashburger, catch a movie at Rave Cinemas Dayton South, meet up with friends for an evening of painting, wine and fun at Raise Your Brush and enjoy a delicious dinner at a slew of exciting dining options like The Melting Pot, Bonefish Grill, P.F. Chang's, or J. Alexander's- all within a 10 minute drive. You will also enjoy the fantastic parks in the Centerville- Washington Parks District including Grant Park and Yankee Park which are a short drive away and Oak Creek South and Stubbs Parks within walking distance. The children who live at The Reserve at Miller Farm attend Centerville City Schools which has been rated Excellent with Distinction for 13 years in a row. Our close location to both I-675 and I-75 puts you only 25 minutes from Northern Dayton and the Northern Cincinnati suburbs where you'll also find great restaurants, shops and plenty of entertainment options. You will love the perks of being nestled between these two major cities. Employees of Wright Patterson Air Force Base in Beavercreek and students at Wright State University and the University of Dayton, along with General Electric and P&G employees in Mason love that they can arrive home to The Reserve at Miller Farm with a short, easy commute. We'd love for you to check out our amazing location for yourself. Schedule your personal tour today!